Creative Assembly have announced a new game mode for Total War: Warhammer II. The Laboratory is a Custom Battle mode, coming to the game as a free update next week. The Laboratory is a game mode designed to let you play with the limits of the game. According to a press release from Creative Assembly, you’ll be able to change sixteen different game variables, from unit size, to impact force, to even gravity, allowing for some battles even more chaotic than in the original game itself. The new game mode does come with something of a caveat; The Laboratory has been designed in collaboration with Intel, and was done so very much for the benefit of those with high-end PCs. You can check out a trailer for the new game mode above, to give you some idea just how ridiculous the new mode can be. For example, scaling down the gravity while adding extra doomwheels makes for some pretty amusing engagements, while increasing the size of Hell Pit Abomination makes them, well, even more abominable. 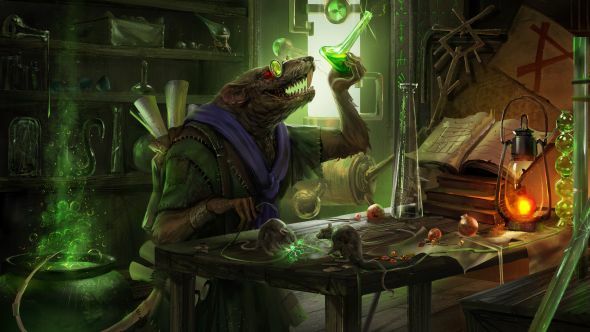 CA have obviously focused on the Skaven for their trailer, but you’ll be able to mess around with all of the game’s units, regardless of faction. The Laboratory will be available in a free update on December 14.